1. The characters in The Housekeeper and the Professor are nameless (“Root” is only a nickname). What does it mean when an author chooses not to name the people in her book? How does that change your relationship to them as a reader? Are names that important? 2. Imagine you are a writer, developing a character with only eighty minutes of short-term memory. How would you manage the very specific terms of that character (e.g. his job, his friendships, how he takes care of himself)? Discuss some of the creative ways in which Yoko Ogawa imagines her memory-impaired Professor, from the notes pinned to his suit to the sadness he feels every morning. 3. As Root and the Housekeeper grow and move forward in their lives, the Professor stays in one place (in fact he is deteriorating, moving backwards). And yet, the bond among the three of them grows strong. How is it possible for this seemingly one-sided relationship to thrive? What does Ogawa seem to be saying about memory and the very foundations of our profoundest relationships? 4. The Professor tells the Housekeeper: “Math has proven the existence of God because it is absolute and without contradiction; but the devil must exist as well, because we cannot prove it.” Does this paradox apply to anything else, beside math? Perhaps memory? Love? 5. The Houskeeper’s father abandoned her mother before she was born; and then the Housekeeper herself suffered the same fate when pregnant with Root. In a book where all of the families are broken (including the Professor’s), what do you think Ogawa is saying about how families are composed? Do we all, in fact, have a fundamental desire to be a part of a family? Does it matter whom it’s made of? 6. Did your opinion of the Professor change when you realized the nature of his relationship with his sister-in-law? Did you detect any romantic tension between the Professor and the Housekeeper, or was their relationship chaste? Perhaps Ogawa was intending ambiguity in that regard? 7. The sum of all numbers between one and ten is not difficult to figure out, but the Professor insists that Root find the answer in a particular way. Ultimately Root and the Housekeeper come to the answer together. Is there a thematic importance to their method of solving the problem? Generally, how does Ogawa use math to illustrate a whole worldview? 8. Baseball is a game full of statistics, and therefore numbers. Discuss the very different ways in which Root and the Professor love the game. 9. 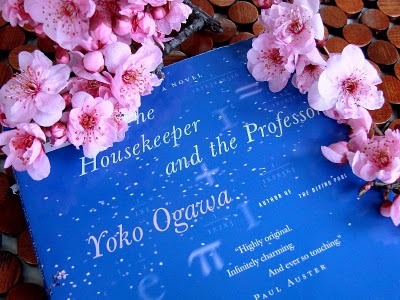 How does Ogawa depict the culture of contemporary Japan in The Housekeeper and the Professor? In what ways does is it seem different from western culture? For example, consider the Housekeeper’s pregnancy and her attitude toward single motherhood; or perhaps look at the simple details of the story, like Root’s birthday cake. In what ways are the cultures similar, different? 10. Ogawa chooses to write about actual math problems, rather than to write about math in the abstract. In a sense, she invites the reader to learn math along with the characters. Why do you think she wrote the book this way? Perhaps to heighten your sympathy for the characters? 11. Do numbers bear any significance on the structure of this book? Consider the fact that the book has eleven chapters. Are all things quantifiable, and all numbers fraught with poetic possibility? The Professor ~ 64 years old. A former university professor who specializes in number theory. He loves mathematics, children, and the Hanshin Tigers (especially Yutaka Enatsu, who was playing for the Tigers at the time of the Professor's accident and whose uniform number was 28, the second smallest perfect number. After being in an accident at the age of 47, he can retain new memories for only 80 minutes. He keeps important information on memo paper which is attached all over his suits. He keeps baseball cards and another important memento in a cookie tin. He has trouble interacting with other people and has a habit of talking about numbers when he does not know what else to say. He has a talent for reading things backwards and finding the first star in the sky. The narrator ~ housekeeper and single mother. Initially feels frustration at the Professor, who shows interest only in mathematics, but through observing the Professor's kindness and his passion for mathematics, comes to feel respect and affection for him. She first manages to connect with the Professor when he discovers that her birthday is February 20 (220), which is an amicable number with the number 284, which is imprinted on the underside of his watch, which he received as the University President's Award for a thesis he wrote in university on transcendental number theory. Cannot pronounce the title of the Journal of Mathematics (to which the Professor submits contest entries) very well, so she refers to it as "Jaanaru obu." Gives the Professor a rare baseball card of Yutaka Enatsu as a birthday present. Root ~ ten years old. The Professor refers to him as "Root" on account of the top of his head being flat like a square root (√) symbol. Is a fan of the Hanshin Tigers, and gets the Professor to repair his radio so that they can listen to baseball broadcasts together. Eventually becomes a junior high school mathematics teacher. The Widow ~ sister-in-law of the Professor (wife of the Professor's brother). Cannot walk well, as a result of a traffic accident.